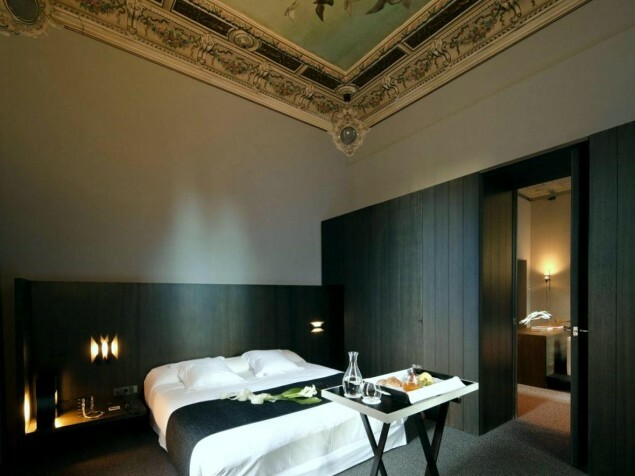 Totally original transformation of a 19th century Spanish palace, with early Roman remains, into a hot, new boutique hotel experience. 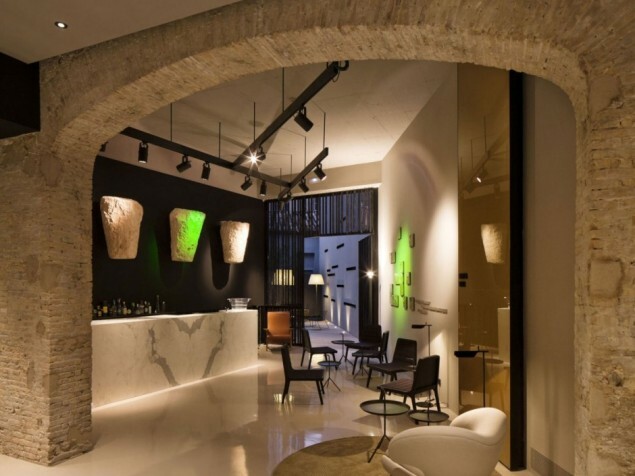 Valencia, Spain, has just debuted its first hotel within an historic landmark. This is the Caro Hotel, or the Palacio Marques de Caro, named after the former Marquis who resided within the palace walls. The building is quite unique in that it incorporates Roman remains, medieval defenses, and other historic elements that predate this predominantly 19th century structure. This provides quite an architectural opportunity, and as such, makes for a great new hotel. This wealth of construction history provided quite a challenge for the hotel design team. The objective was to create a dynamic, contemporary, boutique hotel while incorporating, in fact celebrating, the palace’s unique attributes. The surviving historic elements of the building were carefully restored. This included a Roman tile mosaic dating to the 2nd century BC, 13th century defensive stone walls, several dressed stone arches, and the later 19th century palace. A clean, contemporary look was given to the interiors by the creative minds of Frances Rife Studio. 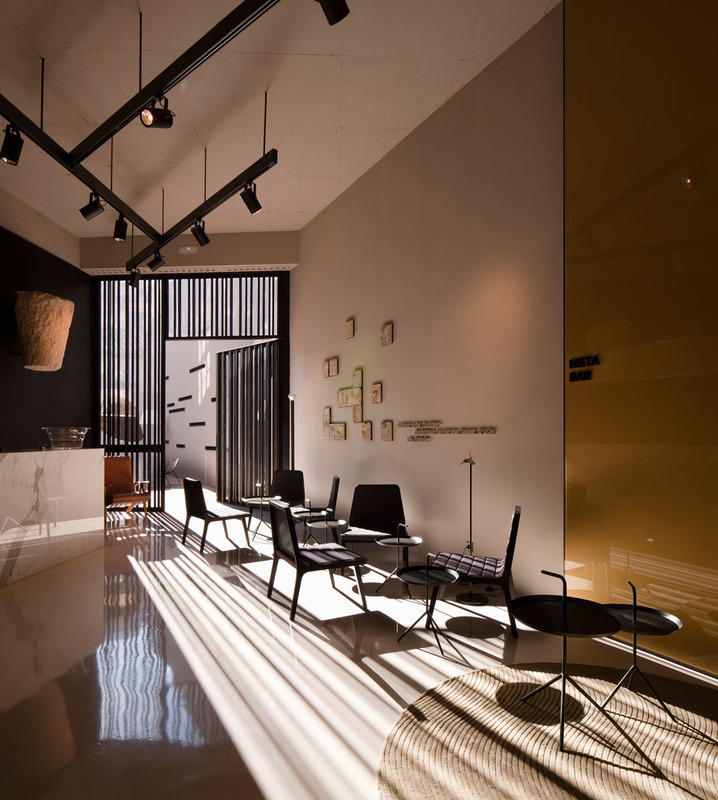 The straight lines and plain surfaces of new walls, furnishings and decorative accessories, highlight the deep textures and warmth of the stone walls and other extant artifacts. The lighting design further enhances these qualities. 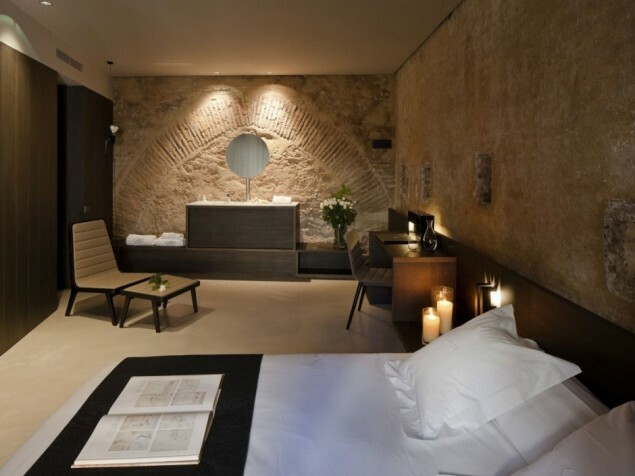 The Caro Hotel offers only 26 rooms each furnished in crisp, clean, modern fashion. Original structural elements, such as timber roof framing, have been preserved and exposed, adding to the guest experience. Hotel amenities include 24-hour room service and Meta Bar, the hotel’s hip bar/lounge with free Wi-Fi. 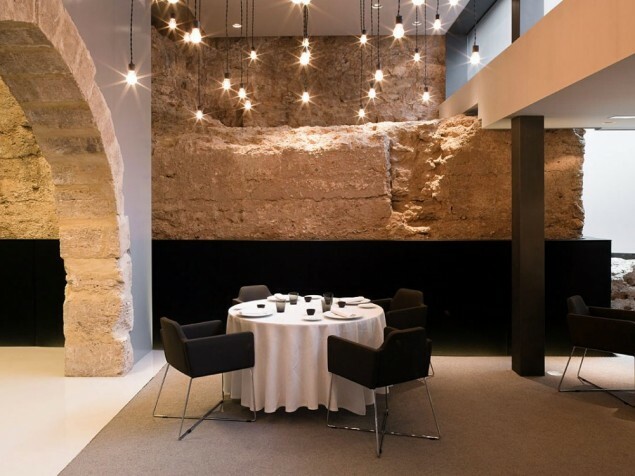 The restaurant, Alma Del Temple, integrates large sections of stone wall remains that creatively serve as room dividers or privacy screens. Event services are provided for small groups in the public spaces. Valencia, a city steeped in history, is recognized as a Unesco World Heritage Center. The Caro Hotel is ideally situated in Valencia’s Historic District and is within walking distance of monuments such as the Valencia Cathedral. 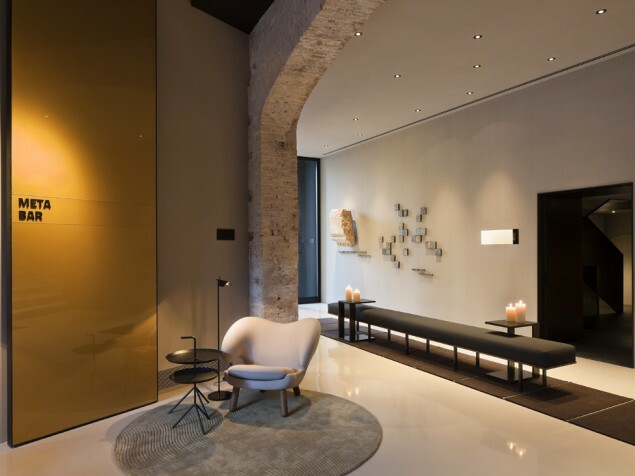 A great example of our love for contemporary Spanish design in which the 21st century interiors actually honor, in fact feature, the building's unique history.